The new episodes will help children to learn and develop their social skills and behaviors, learn about self respect and respect for others and how to become resilient even when faced with hardships. The new episodes will include your favorite characters No’man, Shams, Melsoon, Elmo, Kaaki, Gargur and Habib and a host of other characters who will encourage children to be good citizens and leaders today and tomorrow. 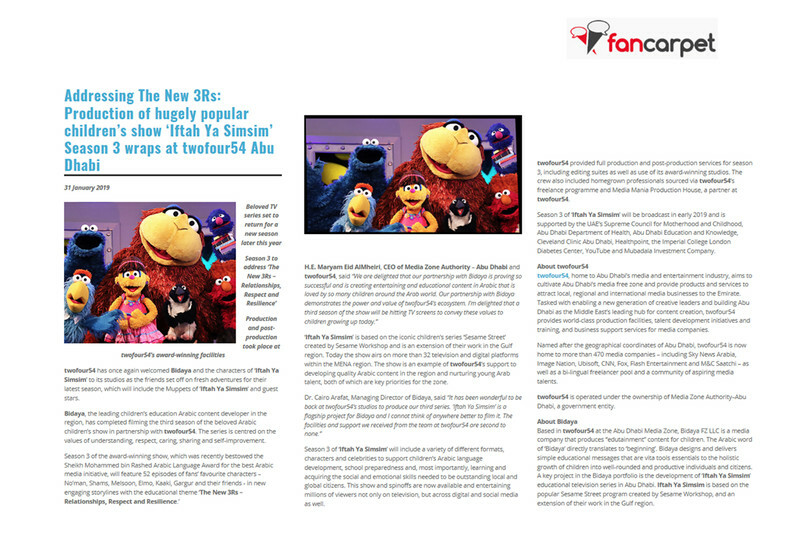 The news of the production of Iftah Ya Simsim Season 3 were covered by reputed press across the channels.